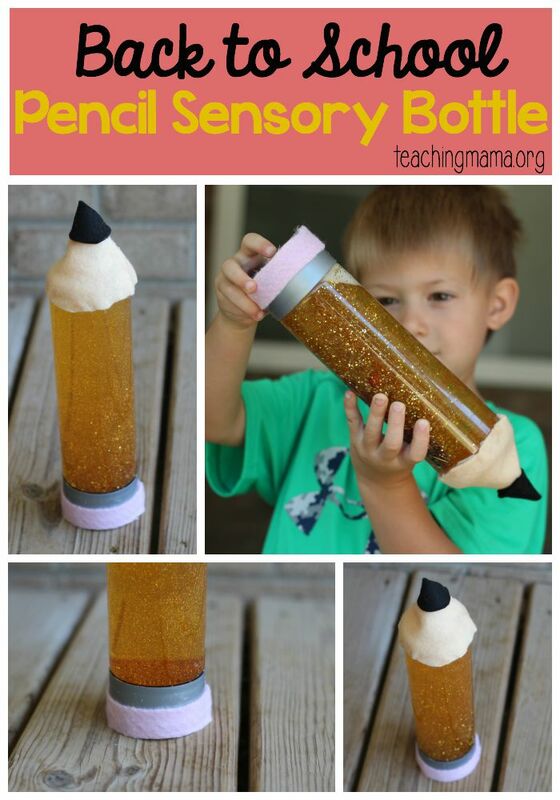 Our pencil sensory bottle is fun and definitely looks homemade, but that’s ok! 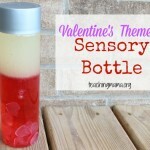 It’s an opportunity for my little ones to engage their sense of sight and touch and it doesn’t need to look perfect. 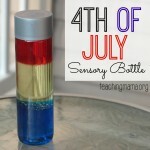 It would be fun to have in a classroom or homeschool. My little guy enjoyed looking at it! 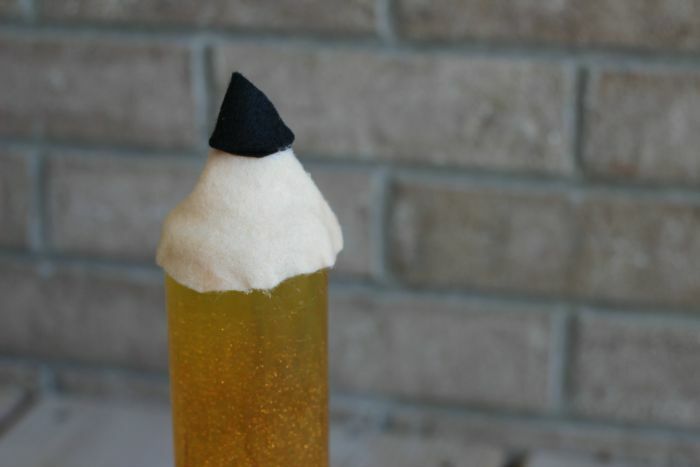 To make the bottle, start by gluing a thin piece of pink felt to the bottom of the silver lid. 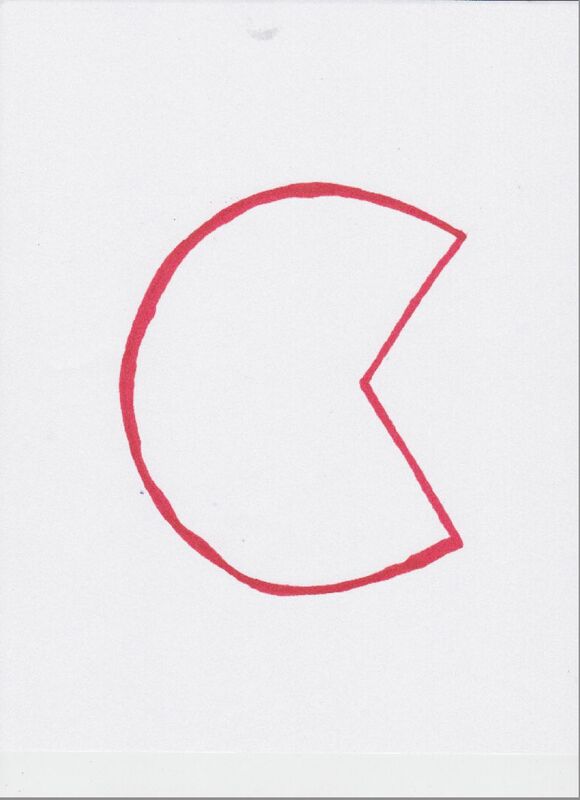 This will be the pencil’s eraser. 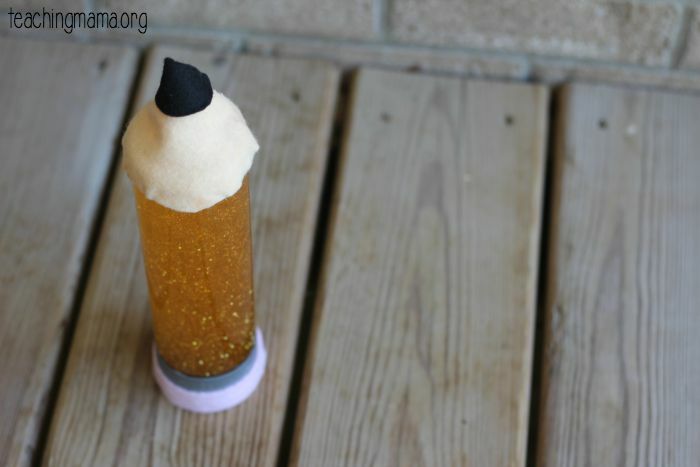 Next, fill the bottle 3/4 full with water and add 1 drop of yellow food coloring and gold glitter. 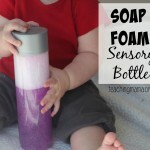 Then fill the rest of the bottle with clear dish soap. 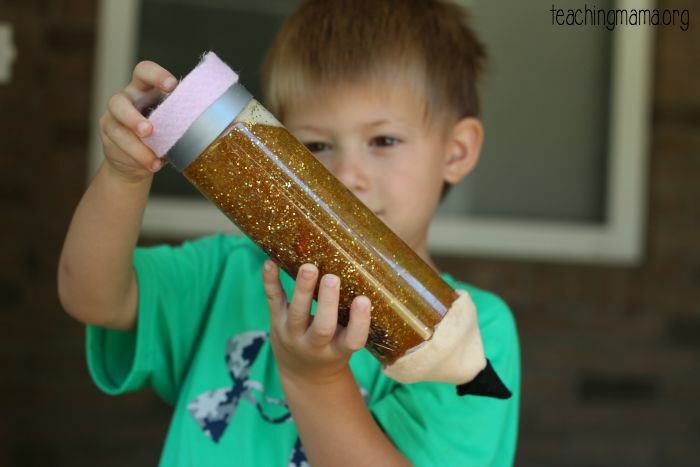 Attach the lid (and glue it on if you don’t want to open it again!). 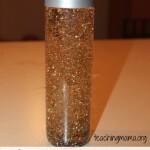 Then shake it up and watch the glitter fall! 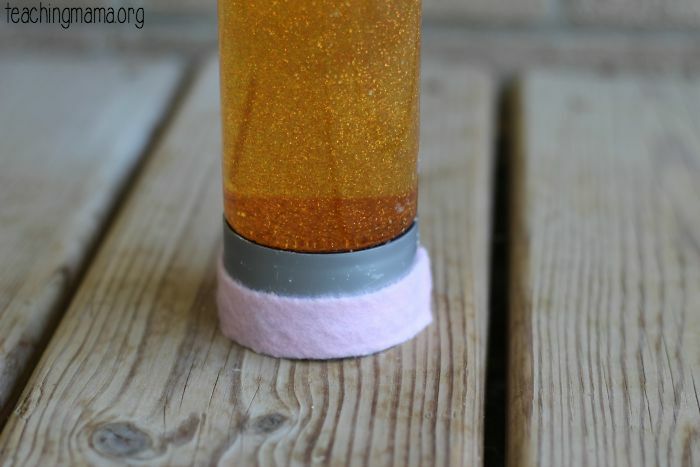 The dish soap makes the glitter fall more slowly. 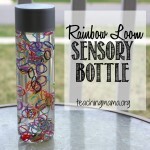 After the bottle is made, your little one can enjoy shaking it, feeling the felt, and watching the glitter swirl in the bottle. 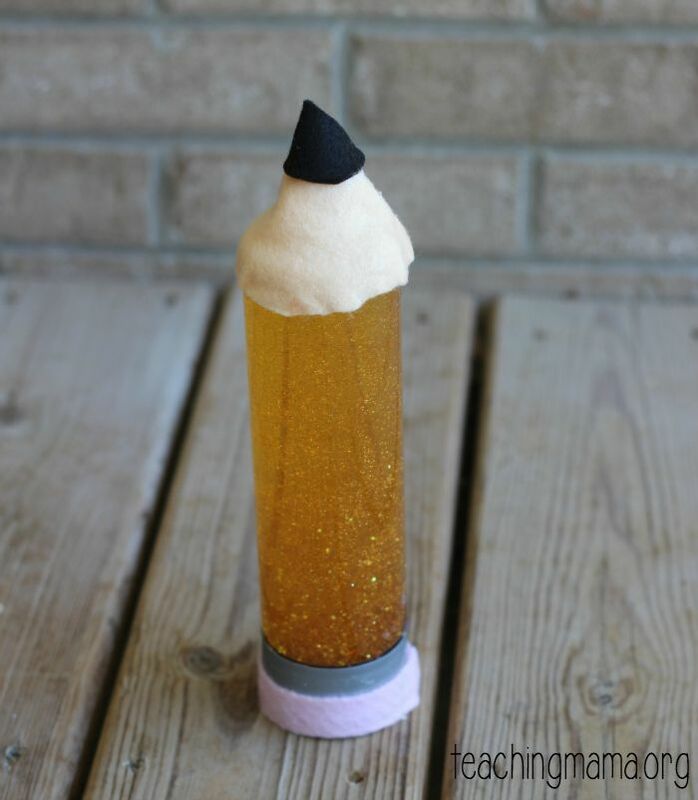 Of course you can make the liquid any color, we just chose a gold color since it looks more like a pencil. 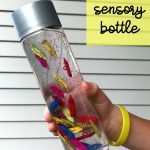 To see all my sensory bottles, click here.